When you create an environment that exactly matches the way people want to work it actually comes alive. It becomes organic. Part of you. Almost part of nature. When you have to fight it to get your work done it creates a dead space that no one wants to be - and you lose your audience. It's in Apple's DNA that technology alone is not enough - it's technology married with liberal arts, married with the humanities, that yields us the result that makes our heart sing, and nowhere is that more true than in these post-PC devices. It's never been easy to make your customers' heart sing. As Paola Antonelli suggests they often don't know what they want. Good design is a Renaissance attitude that combines technology, cognitive science, human need, and beauty to produce something that the world didn't know it was missing. Coordinated activities to direct and control an organisation with regard to quality ... establishment of the quality policy and quality objectives, quality planning, quality control, quality assurance and quality improvement. ISO 9000 identifies eight quality management principles that should guide and inform all quality management activities. The following table quotes the standard (in italics) and gives examples of how these principles can be put into action in a software development organisation. Customer focus Organizations depend on their customers and therefore should understand current and future customer needs, should meet customer requirements and strive to exceed customer expectations. us a favor by giving us an opportunity to do so. All software projects maximise user engagement in requirements specification and system design. For example the organisation uses Agile methods and/or Joint Application Design techniques. Leadership Leaders establish unity of purpose and direction of the organization. They should create and maintain the internal environment in which people can become fully involved in achieving the organization's objectives. Management responds to mistakes with training (not punishment). Involvement of people People at all levels are the essence of an organization and their full involvement enables their abilities to be used for the organization's benefit. Staff is not blamed for problems that only management can rectify (example: the project team is not blamed for being behind schedule on a project that was underestimated/"low balled" by management). Process approach A desired result is achieved more efficiently when activities and related resources are managed as a process. Process definitions and product standards are developed by subject matter experts within the organisation. System approach to management Identifying, understanding and managing interrelated processes as a system contributes to the organization's effectiveness and efficiency in achieving its objectives. Management identifies the interworking of core product development processes: requirements definition, design, coding, testing - with support processes: project management, configuration management, quality management, verification and validation, reliability, availability and maintainability management and functional safety management. Continual improvement Continual improvement of the organization's overall performance should be a permanent objective of the organization. Management sponsors process improvement groups who focus on particular areas for improvement. Factual approach to decision making Effective decisions are based on the analysis of data and information. Management sets quality goals that are measurable. For example, reduce defects per thousand lines of code to .1 in 12 months. Mutually beneficial supplier relationships An organization and its suppliers are interdependent and a mutually beneficial relationship enhances the ability of both to create value. 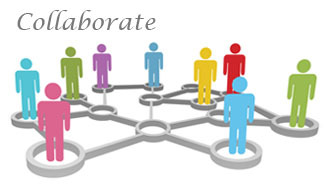 Management fosters collaborative teamwork between employees and supplier/sub-contractor groups. When you are looking for floor installations for your residential or commercial property then look no further than one of our engineered hardwoods. This is great place to find hardwood flooring installation experts, and companies that care about quality and service. Laminate flooring can be installed relatively easily, but there are some points when your average person just puts forth and average job. When you want a professional laminate flooring installation getting a flooring installer who does it day in and day out really makes any laminate flooring project look greta. Carpeting is still a great choice for bedrooms, offices, and commercial spaces. To find a carpet installer who can make the perfect seem look seamless takes years of expertise. Our flooring installation experts are here for you. Tile and stone are still number one for bathrooms and kitchens. Getting a tile setter that leaves a perfect level can be difficult, therefor getting a flooring installation expert who is a tile setter is very, very important. We make sure that only true journeyman take on any of you’re tiling projects. We do residential and commercial spaces.